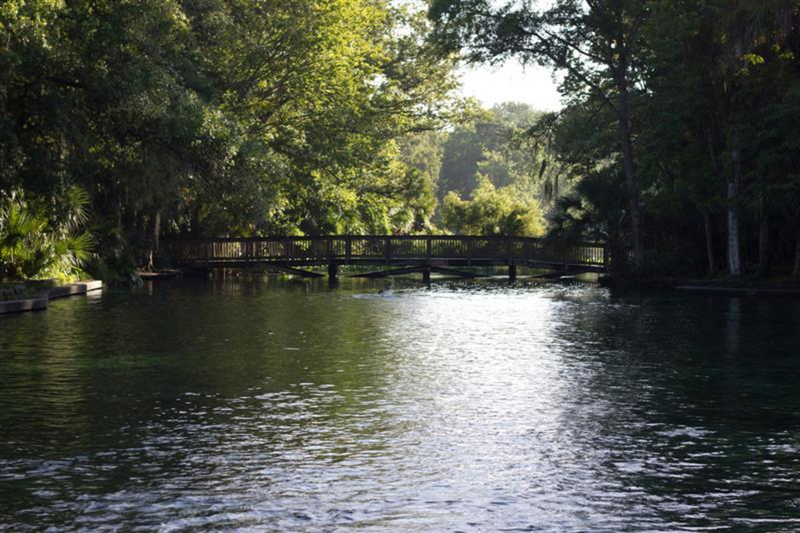 Wekiwa Springs State Park offers easy access to the Wekiva River and Rock Springs Run. With plenty of river to explore it’s the perfect place for canoeing, kayaking, or SUP. An hour to a half day. If there is one thing Florida is known for, it's water. 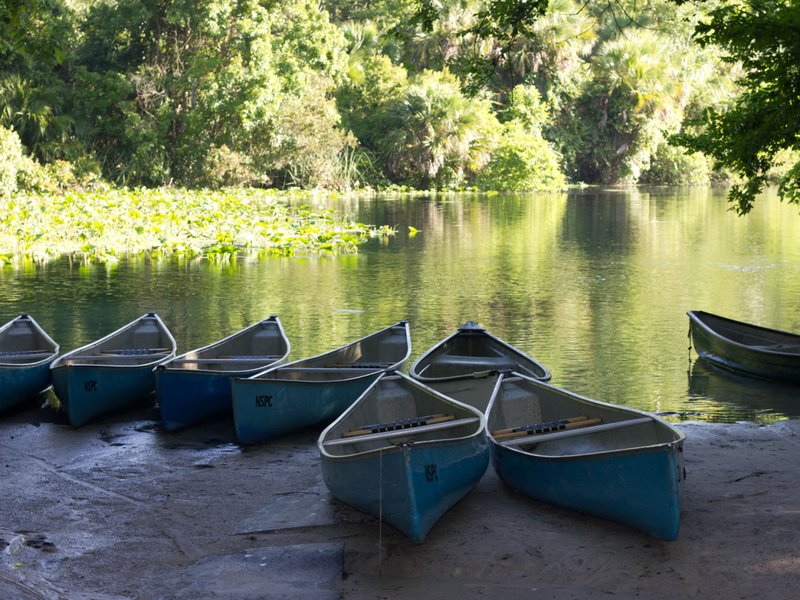 If you love getting out onto the water, whether it be by canoe, kayak, or paddleboard, then Wekiwa Springs State Park is definitely a place you should check out. Located in Apopka, Florida, Wekiwa Springs offers direct access to the Wekiva River and Rock Springs Run. Once you have set off from the canoe launch you will quickly leave the crowded springs area as you follow the river. While paddling along, you’ll see a number of local birds as well as alligators and turtles sunning themselves. The current is easy enough that you will not have to fight your way back. After around ½ mile you will have the option of either turning left (north) onto Rock Springs Run or continuing on the Wekiva River. If you choose to go on Rock Springs Run you will follow the east boundary of the park. Along the river you’ll come across two riverside campsites: Camp Otter and Big Buck Camp. Both sites are primitive campsites and require a reservation. Be sure to call the ranger station ahead of your visit if you’re interested. If you choose to stay on the Wekiva River, you will continue to the east where you will eventually leave the state park area. The river is very relaxing and wide enough that beginners will enjoy it. After about ¼ mile you will get to the Wekiva Island Tiki Bar. This is a great place to stop for a drink and rest. They also offer canoe/kayak rentals if you are unable to get into the state park. While there are no rapids to brag about, you will impress your friends with tales of the alligators you see along the way. No matter how many times you see one, an alligator next to you is always a great experience. They’ll be impressed by your tales of paddling along the river, gliding by fallen trees and watching turtles coming up for air. As with any location in Florida rain is always an issue. The water levels can rise which can determine if the spring area is open. Be sure to check the forecast and the park website for any weather alerts. Anyone who enjoys paddle sports will have a great time at Wekiwa Springs State Park. With a relatively light current, people of all ages will be able to participate. This is also a great option during the summer months as the river is shaded and keeps you cool. When you arrive at the Wekiwa Springs continue to the main spring parking area. To the right of the spring you’ll find the concession stand where you can rent canoes/kayaks. Once you have rented your equipment you will walk over to the canoe launch to head out. If you have your own boat you can go directly to the launch area. Keep in mind that this park can get extremely busy during the summer and weekends. Don’t be surprised to find a line of cars at the entrance waiting to get in. You’re best bet is to get to the park as early as possible. This is especially the case if you need to rent a canoe or kayak. On busy days the river can become crowded, but as you get further away from the state park area the river typically opens up. Also, remember this is a state park so an entrance fee will apply. Panama City vs. Pensacola vs. Destin: What's the Best Beach Community in the Florida Panhandle?